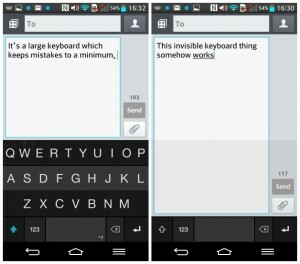 Every smart phone already has a default keyboard for typing. But sometimes it cannot meet your expectation and you need any other keyboard for fast typing. There are tons of keyboard applications available on play store. This variety of application can makes you confuse which app to choose. 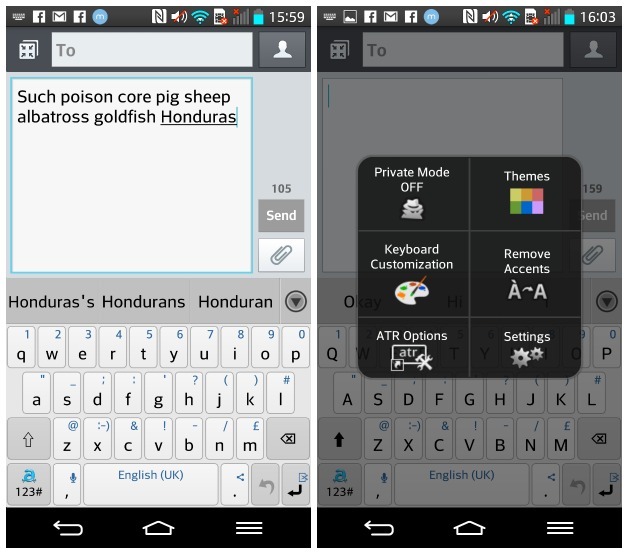 We are suggesting you 4 best keyboard apps for fast typing. You can download them for free from play store or the links given below each application. Let’s have a look. It uses a glide method for typing. What you need to do is to slide your fingers across the letters you want to type and let them type. 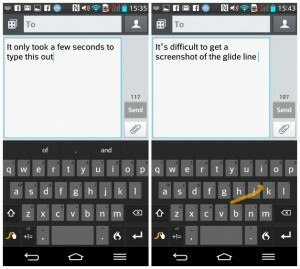 The slide feature is now very common in every android keyboard but Swype has its own unique features. It helps you in auto typing and auto spacing. Swype has a dictionary which gets updated after specific interval of time enabling you to type faster. 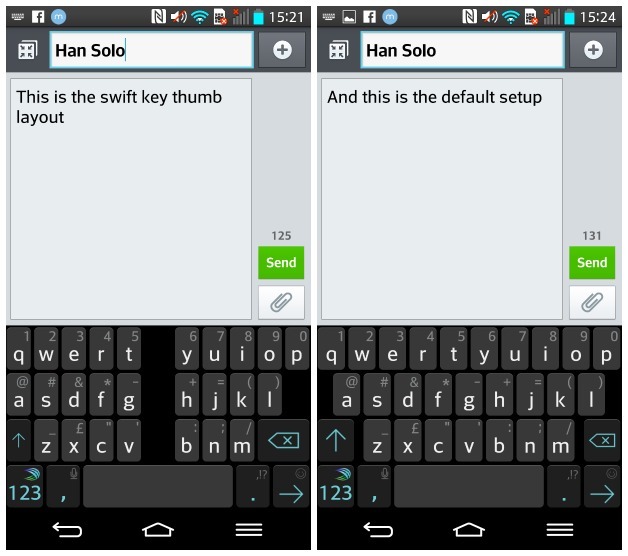 Swype is available on play store with it latest version and can be downloaded for free. Well I can easily say that swift key is one of the best keyboard app for fast typing. It can work in a traditional manner as well. You can type by using swiping as well. Swift key allows you prediction option as well which makes typing easy and faster. Predicting the words from your post message swift key suggest what you are going to type next. For example if you typed the word ‘What’ following with next two words “do you do”. Next type in other messages when you will type what it will suggest the next words to you automatically. Swift key is available on play store with its latest version and can be downloaded for free. Download it now to enjoy fast typing. Adaptxt is one of another best keyboard app for fast typing. It has standard input method with unique features. It enables you to upload your message directly on social websites like face book, twitter etc after typing. It one of the best feature is you can put it on private mode it means that it will not learn any of the phrase or word when this mode is active. Adaptxt is available on play store with number of unique features and can be downloaded for free. Download Adaptxt now from the link given below. Fleksy is one of the fastest and auto correct keyboard app for fast typing. Fleksy is an keyboard application which do not enables swiping but still it is fast and accurate. It has a unique feature to make keyboard invisible. Typing with invisible feature actually works amazingly with accuracy. Unlike other keyboard application its default button is comparatively larger but this has nothing to do with it accuracy and speed. Fleksy keyboard application for fast typing is available with its amazing features on play store and can be downloaded for free. Grab it now to enjoy it’s amazing features for fast typing.